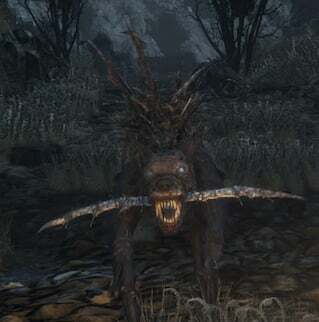 Hunting Dog is an enemy in Bloodborne. 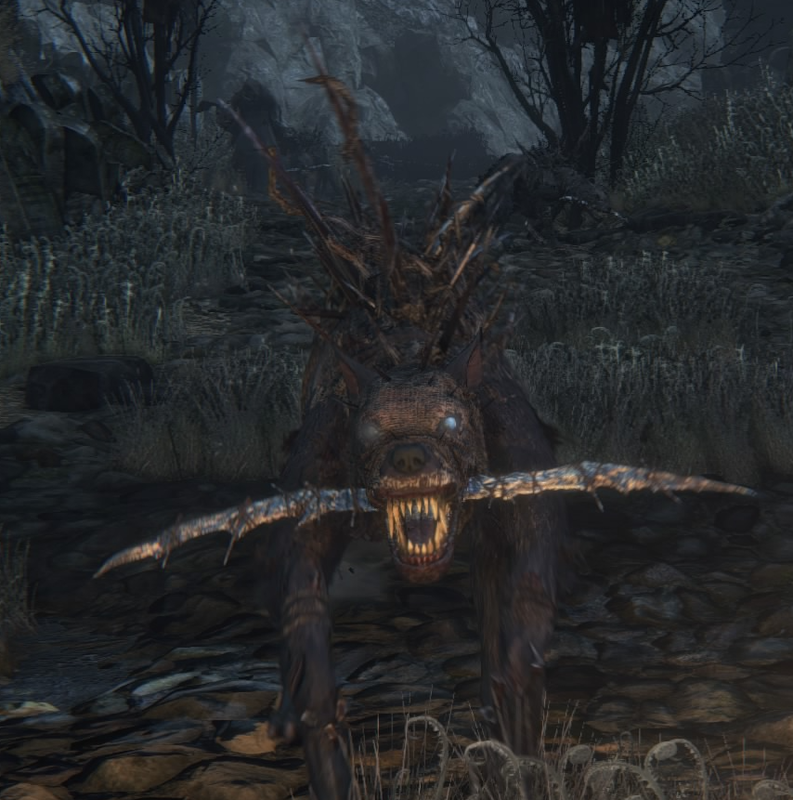 The hunting dog is an enemy found in Hemwick Charnel Lane and in Chalice Dungeons. 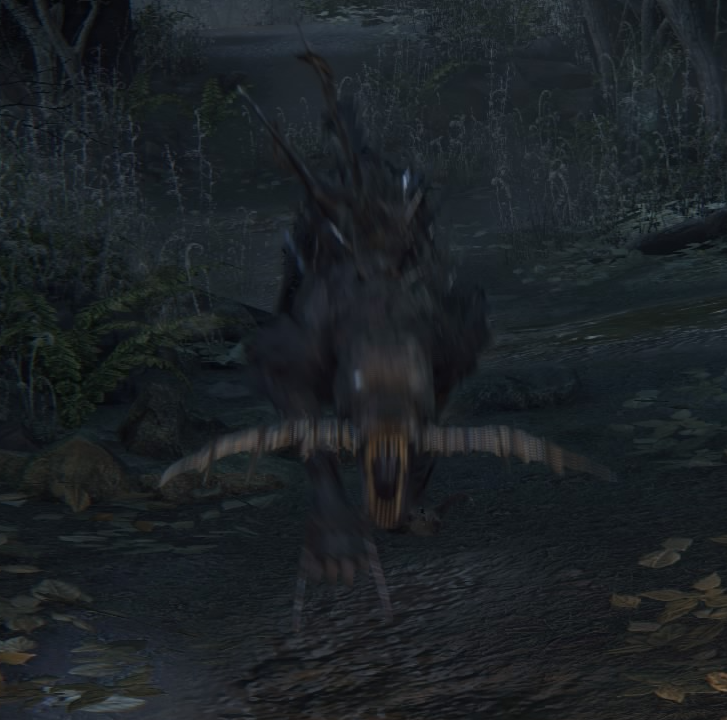 From afar they appear similar to the rabid dogs seen in Yharnam, but to hunters with a keen eye the difference is plainly obvious. The sharp blades and spikes sticking out from their bodies are not just cosmetic, and can prove lethal to unaware passers-by. These dogs will be most often seen patrolling alongside Hemwick's grave women, as protectors and faithful companions. Being rabid guard dogs they are always alert, and are very quick in spotting hunters even from far away. 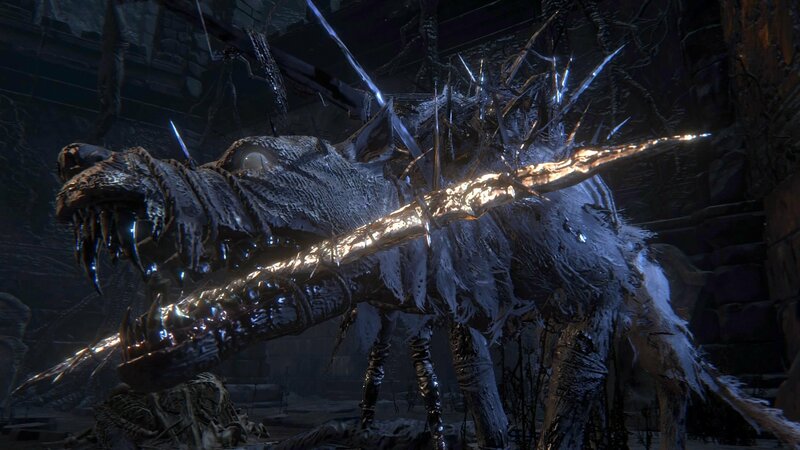 Like all similar enemies in Bloodborne these dogs are nimble-footed, and their swift attacks can prove to be too much even for high-level players. They can dodge and counter, and will most likely attack the player in packs of twos or threes. Use a gun to knock them down, and kill them while they are unable to defend themselves. Pungent Blood is a useful distraction, but it will only last so long. The Wooden Shield can be very effective when fighting several of them at once. Projectiles are not very useful against these enemies, since they are quick to dodge and evade. Their moveset is actually different from that of other dogs. They can zigzag towards the player and can use their bladed paws to attack. These enemies have no variations. They appear in Pthumeru dungeons and Loran dungeons. Is there an explanation as to why they look like this? Perhaps transformed from consuming the old blood in their prey? Think this creature bears a passable resemblance to the beast in Le Pacte des loups (Brotherhood of the Wolf)?